Companies who process Grade-A milk products are required by the Food and Drug Administration (FDA) to purchase milk packaging containers and materials only from manufacturers of these containers who are certified as meeting the high standards of the FDA when it comes to Single-Service Packaging. These standards are considered to be some of the strictest in the world, helping to assure the safe packaging and shipment of dairy products. Packaging companies who achieve these standards can be placed on the Interstate Milk Shippers List (IMS) as having achieved IMS Certification. CDF Corporation is pleased to have received this designation for our intermediate bulk containers (IBC). CDF is IMS-certified by the Commonwealth of Massachusetts, permit # MA-0005, for single-service containers and closures being used in the dairy industry. CDF Corporation meets all the requirements and standards as defined in the Grade “A” Pasteurized Milk Ordinance. Our facility must pass an annual inspection from an FDA approved auditor. The audit includes an inspection of potential raw material cross-contaminants, equipment cleanliness, plant layout, good manufacturing best-practice standards by staff, and more. Samples of finished products must pass testing at an FDA approved laboratory (up to eight times year). 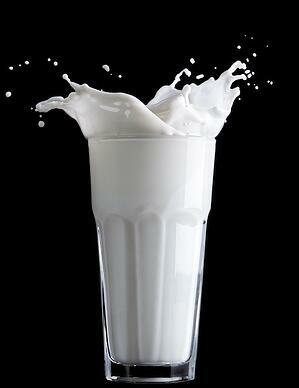 All raw materials at the manufacturing plant and materials that come into direct contact with the milk product must meet requirements for food grade materials and be classified non-toxic. The certification assures milk processors that purchasing particular CDF intermediate bulk containers complies with FDA regulations that are revised every two years. If you’re in the food and beverage industry, you know that ensuring product integrity, system efficiency, and environmental responsibility are essential in the packaging, storing, and shipping of food and beverage products. Exceptional food safety awareness and compliance helps everyone in the food and beverage industry maintain our shared two-fold goals: protecting the products and end users and preventing loss and liability. With years of experience in manufacturing packaging for food and beverage producers, we have many systems, processes, and certifications in place to ensure you that your packaging—including custom designs—provide the product integrity and safe, sterile conditions you and your end users require. Air Assist IBC Liners– Our Air Assist products are designed for thicker food products that include ice cream variegates, syrups, and more. An Air Assist liner features a form-fit liner with an air bladder attached. When the bladder is inflated, it produces pressure against the liner, forcing the product out of the bottom dispenser leaving behind less product. This product is available in multiple sizes and is customizable. Form-Fit IBC Liners –Form-Fit liners are generally cube-shaped and are made to fit the internal shape of your intermediate bulk container. Form-fit IBC liners provide high performance in top-fill applications, using a bridge or automated filler and high-speed fills and viscous products. IBC Pillow-Shaped Liners– These pillow-shaped flexible containers are typically constructed of two or three plies of linear low-density polyethylene and a barrier film when used for oxygen-barrier applications. Bag-in-Box Containers –CDF offers a variety of bag-in-box flexible container solutions for a food product, including milk and dairy. Bag-in-box solutions use significantly less plastic than rigid containers—in fact, 80% less plastic. This is an important distinction for companies building their environmental reputations and looking for more sustainable packaging solutions. Ask us about our UN-Certified bag-in-box option (and read more about it here). Years as an innovator of new designs and custom packaging solutions allows us to meet the special needs of customers not met by traditional products, such as cans, bottles, and jars. We take pride in working closely with customers to develop packaging solutions that satisfy the most demanding and unique applications. For more information about our IMS-certified flexible packaging, download this bag-in-box FAQ sheet that will answer some of the top questions customers initially have, or contact us directly to find the right solution for your safe food packaging requirements now.